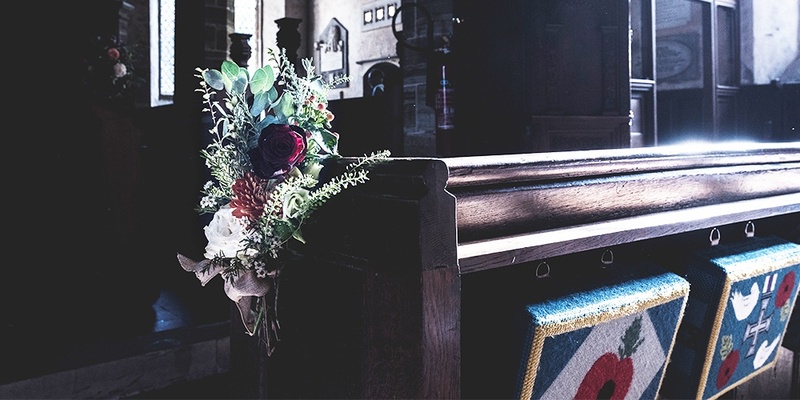 The way we memorialize our deceased loved ones has changed dramatically over the last decade, making it harder than ever to understand “proper” funeral etiquette – especially since what is appropriate for one service may not be appropriate for another. The good news is that there are still several behavioral norms that apply to most services – no matter the type of memorial the family has planned. Below, we’ve listed a few general guidelines you should always follow when attending funeral services. Appropriate attire varies from service to service. You can get a pretty good sense of what to wear to a funeral based on the venue. If the service is held in a church, standard business attire is often appropriate – suit and tie for men, dresses or nice slacks for women. If the service is being held at a less formal venue, like a school or community center, business casual attire (like dress pants and sweaters) may be more appropriate. As a general rule of thumb, you should avoid wearing anything too casual (this includes jeans, t-shirts, sweatshirts or anything you would wear to the beach). The same is true of overly festive or revealing clothing. You do not necessarily need to wear black, but bright, vibrant colors may seem out of place. If you’re not sure what type of clothing is appropriate, call the funeral home. Their staff will know the type of service the family has planned and should be able to give you advice on what would be appropriate. You should arrive 10 minutes before the scheduled start time and plan to stay for the duration of the service. Many funerals begin with a processional of the deceased and his or her family and end with a recessional. Just like a wedding, the first few rows are often reserved for family and close friends. It is expected that guests will be seated before the service begins and remain until the family has left. If you arrive late or need to leave early, choose an aisle seat toward the back. Do your best to enter and/or leave quietly so you do not disturb other attendees. Sometimes, funeral home staff will be on hand to help you find a seat. In that situation, simply let the usher know you would like to sit toward the back. Power down your cell phone – do not just put it on silent. By turning it off, you eliminate the possibility it will accidentally ring. You also remove the temptation to use it, as there should be no reason to be on your phone. It is not appropriate to check email, text or take photos during a funeral service. In some situations, it is appropriate to use your cell phone to take family pictures after the service. However, you should still refrain from checking email, texts or the time to avoid appearing distracted or bored. It is completely acceptable to bring children to a funeral service, but you should talk to them beforehand to avoid unnecessary distress or confusion. Before the funeral, discuss what has happened and thoughtfully answer their questions. Make sure they know what to expect at the funeral service – especially if there is going to be an open casket – and remind them that many people in attendance will be sad, and that it’s okay if they feel sad, too. Depending on the children’s ages, you may want to bring along quiet activities to keep them occupied during the service. That is perfectly fine, but it’s a good idea to choose seats toward the back so their activities do not distract other attendees. Historically, funeral homes have given families a physical guestbook to keep as a record of everyone who attended their loved one’s funeral. The keepsake is often treasured after the fact when families can take time to see all the people who came to support them and honor their loved one’s life. While many businesses are moving toward digital registries, it’s still important to sign your name before or after the service. Larger services may have several guest books, but you should only sign one of them. Since the book serves solely as record of who attended the service, it is not the appropriate venue for notes of condolence. You may, however, add a brief notation explaining how you knew the deceased (i.e. “Jane Smith, St. Mary’s Choir”). It is appropriate to give flowers to a family in memory of their loved one. However, any flowers you purchase should be delivered to the funeral home prior to the service – at least a day ahead of time, if possible. When you place your order, let the florist know that you are sending flowers for a specific family. Their staff will make note of it and ensure it makes it to the right place. If you do not have a chance to order flowers ahead of time, you may consider donating to a local charity in memory of the deceased. Often, the family’s memorial preference will be listed in the obituary. A general rule of thumb is to donate the same amount you would expect to spend on a floral arrangement. When you donate, make sure you note that you are doing so in the memory of a specific person. Charities will often take care of notifying surviving family members of any donations that have been made. Some families choose to have a receiving line before or after the service to greet and thank attendees. In those situations, make sure you participate and express your sympathy to the surviving family members. If you do not know the family, you should still take time to greet them. Simply introduce yourself, give a brief explanation of how you knew their loved one and express your condolences. If the family does not have a receiving line, you should take time to speak to them before or after the service. Be sensitive, though, that they may be preoccupied with service logistics if you approach them before the memorial. The best time to talk with them is after the service has concluded, ideally during a lunch or reception if one is scheduled. If for some reason you do not have an opportunity to speak directly with the family, you should follow up with them by sending a card to express your condolences. A sympathy note is also the ideal place to share your favorite memory of the deceased, as families often treasure those remembrances as they move through the grieving process. If you do not know a family’s mailing address, you can ask the funeral home to either provide that information or help deliver the card. These are just a few general funeral etiquette guidelines to help you prepare to attend services. When in doubt, take your behavioral cues from other attendees. You can also reach out to funeral home staff if you have questions about what is and what is not appropriate.